Please allow up to 30 working days for Singpost to deliver them to your Letterbox. we highly recommend Qxpress for faster delivery and tracking service. We WILL NOT be responsible for any lost mail. We are located at 1 Irving Place, Commerze @ Irving #02-12 S(369546). 2 mins walk from Tai Seng MRT Exit A. Please call before coming down to check for stock availability. 1) Check your email. 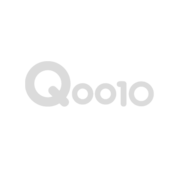 You should receive an email from Qoo10 of the E Ticket Voucher once payment is complete. Show it to our staff when collecting your items. 2) Check your sms for a 13 digit number (25xxxxxxxxxxx) from Qoo10. Show it to our staff when collecting your items. 4) Via web browser, go to 'My Qoo10' > Recent Orders > Find the order of your purchased item > Click on 'Visit Seller Store' button to view the E Ticket Voucher. Show it to our staff when collecting your items. PACKING = Please allow us 1-3 working days to pack and ship out the item. Most of the time we clear out all orders within a day unless due to overwhelming orders or item unexpectedly out of stock. QXPRESS DELIVERY = 2 to 4 working days. Item delivered to your doorstep! We strongly recommend buyers use this for all orders! Tracking info available. You may contact Qxpress directly at 64348400 if you haven't receive your items after 7 working days. SELLER DELIVERY = 1 to 3 working days to your doorstep. We will contact you to make arrangements. SINGPOST NORMAL MAIL = 2 to 15 working days (sometimes up to 30 working days). Item will be posted to your letterbox. We WILL NOT bear any responsibility for lost mail. Good. East to stick on and strong enough to hold. Bought 4 type. Save space formy bath room. Worth buying at this rate. Highly Recommend Product looks sleek and does it job well. Good quality product, stick well on smooth surface. Item came rusty. Can I have a refund? Item received in good condition. Very useful item. Fast delivery and easy to use. Serve my purpose. Very fast! item received in a good condition. And it is good will buy some more. Thanks seller. Item received in good condition and it stick well on the wall. Fast delivery with good condition. Good Buy! Awesome product! 2 thumbs up, will definitely purchase again! Hi when is the 5002 stock coming? Hi seller..i placed my order and had opted for self collection but there is still shipping charges when making payment. Would you like to check with Q10 or do you want to refund me aft i make my payment? Hi how to remove? Can the holder stcker be reusable? Hi. To remove it, you can just peel it off like a sticker. Yes, its reusable. But we don't recommend it because it will not as sticky as the new one. We also sell only the sticker pad, the price is $2.90 each. How come I can’t choose store pick up when I check out?